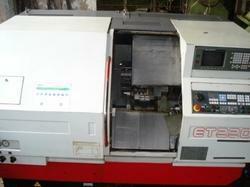 Saibaba Machine Tools (india) Pvt. Ltd.
Job weight: 3 tons max. Planning Machines both single and double column are available in various size up to 10000mm length and 3000mm width simple belt drive as well as with Electro Magnetic Brake. Milling and Grinding Attachments can be supplied on request.